Paris, France. Patrick Blanc, PhD does not agree with Darwin when it comes to competition in the evolution. Rather, he wants to express that in habitats, where there is no competition, an explosion of biodiversity can be observed. Adaptation is not intended to replace plants in the area. Blanc is a botanist, researcher, author, and the inventor of the Mur Végétal or Vertical Garden – plant walls, which enable the introduction of biodiversity onto the concrete walls of towns. A botanist as well as an artist, Patrick observed how plants were able to grow vertically without the need for soil in the wild, and developed a way to create artistic looking vegetation walls that were both lightweight and needed little maintenance. 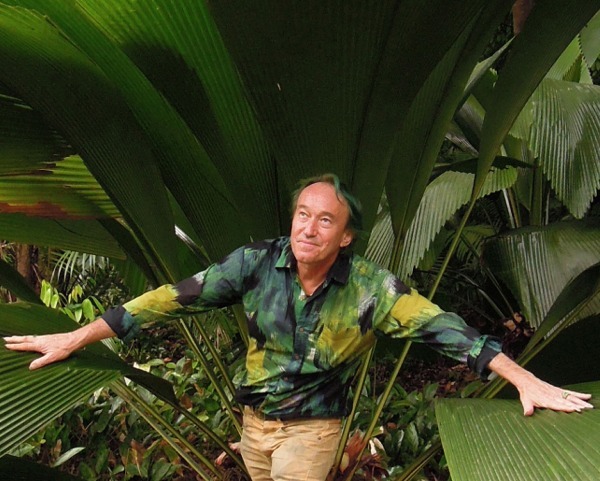 He is known for spectacular living wall projects installed all over the world including the creation of the world’s tallest plant installation of climbers on Le Nouvel in Kuala Lumpur (with architect Jean Nouvel), 2015; creation of the world’s tallest Vertical Gardens, One Central Park, in Sydney (with architect Jean Nouvel), 2013; creation of 67 hanging planted columns, 12 to 18 m high, for the PAMM museum in Miami (architects Herzog & de Meuron), 2013; Caixa Forum Museum Vertical Garden in Madrid, 2007; and the Quai Branly Museum in Paris, 2005, to just name a few. Altogether, Patrick has created over 250 Vertical Gardens. Many works are in conjunction with famous architects including Jean Nouvel, Herzog and de Meuron, Andrée Putman, Marc Newson, Francis Soler, Kengo Kuma, Kazuyo Sejima, César Pelli, Edouard François, Jean-Paul Viguier, Bonnie Fisher, J+H Boiffils, Saguez and Partners, and many more. Patrick Blanc holds a PhD from the Université Pierre et Marie Curie and has been a scientist at the CNRS (Centre National de la Recherche Scientifique) in Paris since 1982. He has received numerous awards and accolades for his research and design including Chevalier de l’Ordre des Arts et des Lettres, 2005; One of the 50 Best Inventions of the Year, Time Magazine, 2009; and RIBA Honorary Fellowship (Royal Institute of British Architects), 2010. 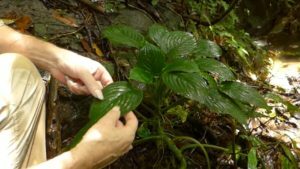 His plant studies and field trip discoveries include a new species of Begonia discovered by Patrick in the Philippines, named after him: Begonia blancii. Patrick has authored five books and co-authored one. His most recent success is The Vertical Garden, from Nature to the City, 2012 (second edition) – Norton Press, New York, London.